FUEL EFFICIENT 36 MPG Hwy/25 MPG City! CARFAX 1-Owner. Urban Titanium Metallic exterior and Beige interior, LX trim. CD Player, iPod/MP3 Input. 5 Star Driver Front Crash Rating. CLICK ME! iPod/MP3 Input, CD Player MP3 Player, Keyless Entry, Remote Trunk Release, Child Safety Locks, Bucket Seats. Honda LX with Urban Titanium Metallic exterior and Beige interior features a 4 Cylinder Engine with 140 HP at 6300 RPM*. 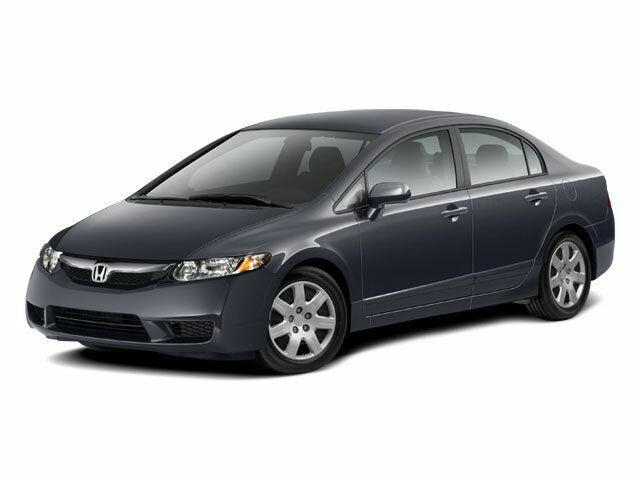 newCarTestDrive.com's review says "The Honda Civic continues to hold its position at the top of the compact class, thanks to innovative styling, refinement, reliability, and a broad model line.". 5 Star Driver Front Crash Rating. 4 Star Driver Side Crash Rating. Great Gas Mileage: 36 MPG Hwy.